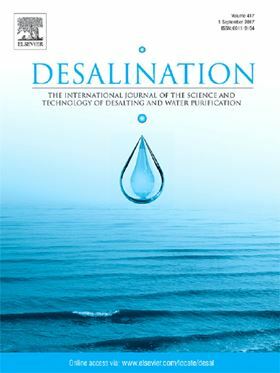 The review article 'Graphene oxide membranes for enhancing water purification in terrestrial and space-born applications: State of the art' has been published in Elsevier journal Desalination (Volume 448, 15 December 2018, Pages 113-132). We present a compendious review of the literature and state-of-art of the research into graphene oxide (GO) membranes for both terrestrial and space-born water purification applications. The performance of GO membrane is compared to polyamide composite properties broadly used in today's desalination plants as well as to other membranes composed of various polymeric materials. An in-depth comparison is also conducted between GO membranes and the water reclamation system onboard the International Space Station (ISS). Based on empirical data from the literature, GO membranes have the potential to reduce the specific energy consumption in both RO facilities and the ISS by operating at reduced pressures while keeping high ion rejection. Mass reductions can also be achieved by replacing components in the ISS's current water reclamation system with a GO membrane. Additionally, GO membranes can increase the water availability for the crew onboard the ISS, raising the count from its current 6 members to upwards of 60 members while retaining energy and mass savings. A method for optimization of filtration parameters in a submerged anaerobic membrane bioreactor treating urban wastewater and food waste. This study investigated the extraction of energy from the dilution of fertilisers via pressure-retarded osmosis (PRO).